Expedition National Park is like a three-in-one surprise package. 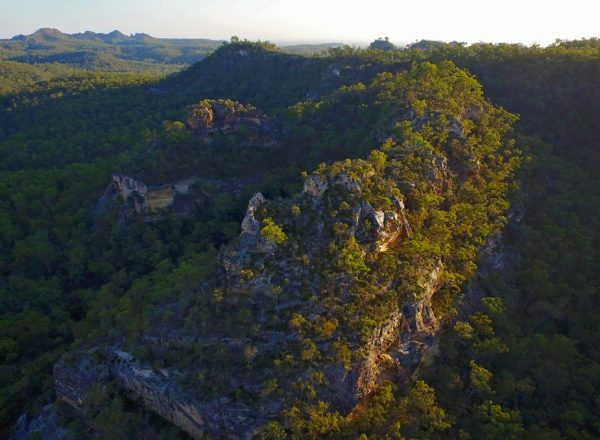 Divided into distinct sections – Robinson, Lonesome and Beilba, the park splays out over more than 1000 km2, bristling with sharp white orange escarpments and deep floors of native forest that hark back 240 million years or more. Its rugged beauty and get-away-from-it-all bush camp sites offer experienced trailblazers plenty of 4WD action and challenging hikes. 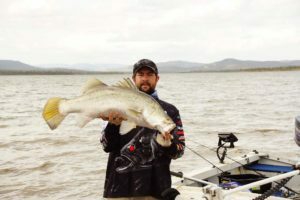 All three sections are laden with WOW factor and the lookouts at Robinson Gorge and Lonesome are truly worth the trip. The sections are spread out and it’s a five to six-hour drive to reach Lonesome and Beilba from Robinson Gorge. 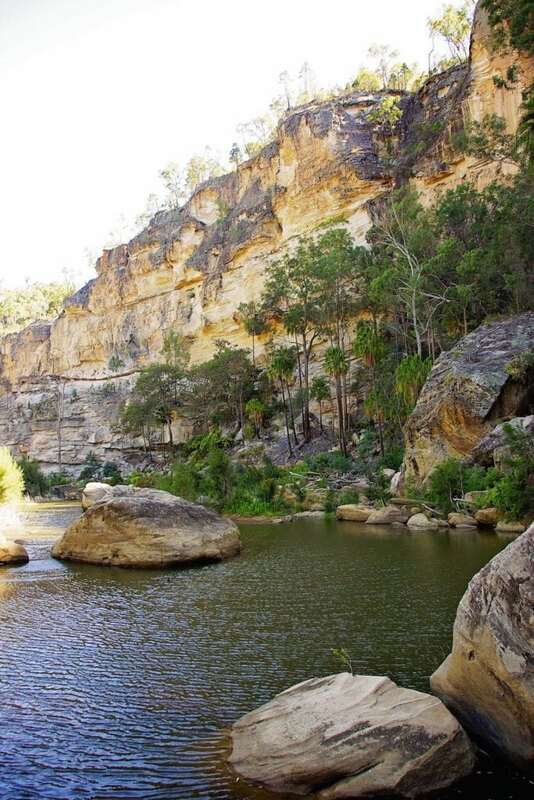 Robinson Gorge section is 90 km north-west of Taroom via mostly gravel roads. From Taroom, head north along the Leichhardt Way approximately 18 km and turn left onto Fitzroy Development Road. Continue 1.5 km and turn left onto Glenhaughton Road and follow 55 km until you reach the Expedition National Park Boundary. From here, follow the National Park signs to Robinson Gorge. From here, the park is accessible by 4WD/AWD only. Lonesome section is located 37 km north of Injune along the Carnarvon Developmental Road. Turn right onto the Arcadia Valley Access Road and a further 18 km (4 km of gravel) to Lonesome. Suitable for all vehicle types. Roads may become slippery in the wet. Beilba section is also accessed via the Carnarvon Developmental Road. Travel 26 km before turning right onto Fairview Road and then left onto Beilba Road. From here continue along 30 km of gravel road to the park. 4WD vehicles recommended during dry weather only. No access for larger vehicles or caravans. 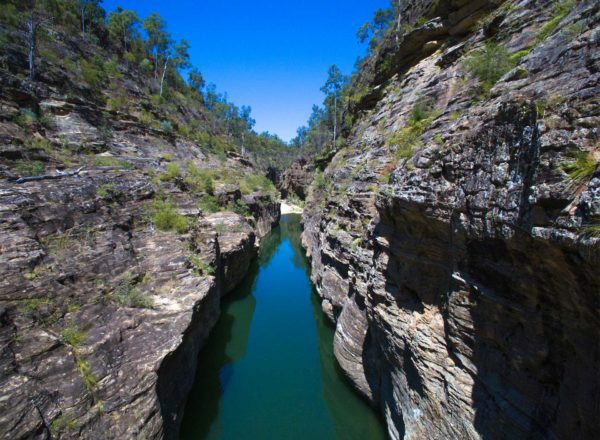 Covered in open eucalypt forest, the gorge plateau stretches along the landscape for 14 km. Its winding ridge of sheer sandstone wall is like a fortress. A place where from a great height, you can survey the land below. Rising up to 100 m in some places, huge bulging sections and over hangs dwarf you. The multi-coloured stone – sometimes deep shades of red, orange and grey – fades in parts to soft creamy hues. 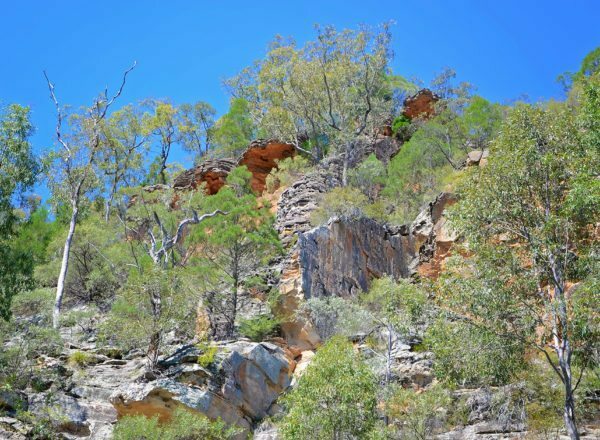 Robinson Gorge has three sensational lookouts. Each walk to the lookouts is suitable for experienced bushwalkers who can handle rough ground. North from Starkvale camping area, Robinson Gorge Lookout casts sweeping views over the gorge, cliffs and low lying valley. The walking track also leads down to the gorge where rare flora can be found among the palms and bottle brush. Further south, Shepherds Peak is well worth the hike. 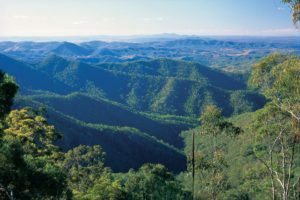 The walk through the eucalypts brings you to the ridge top and a spectacular panoramic view across the gorge and beyond. Cattle Dip lies at the southern end of the plateau. Starkvale Creek cuts through the gorge and at the lookout the watercourse narrows, squeezing between giant precipices. Along the track you can see the site of Old Shepherd’s hut. This park is accessible only to 4WD/AWD vehicles during dry periods. In the wet season, this area is a NO GO ZONE. Wet weather may cause some roads to become unsafe or inaccessible, particularly between November and February. However, this can occur at any time following heavy rain. Off road caravans/camper trailers towed by a 4WD can access the Starkvale camping ground. Tall pillars of sandstone known as ‘The Candlesticks’ make a majestic site as they ascend from the grassy plains of Lonesome. Until 1972, this was cattle country. 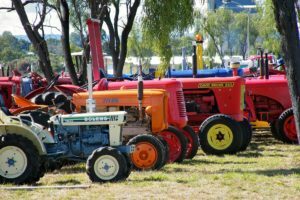 Now, among the brigalow, bauhinia and bottlebrush, you’ll find rustic remnants of those olden times – the weathered fences, stock yards and stockman’s hut. Though remote, in dry weather the roads are good for all types of vehicles so pack the tent and billy and stock up on supplies because once here, you’ll want to stay a while. The Dawson River passes through the Arcadia Valley and the bush camping ground sits right against its bank. This is a perfect place for peaceful nights counting the falling stars. While the camping ground contains only what nature provides, the lookout has a picnic shelter along with breathtaking views of the valley. If travelling north from Injune, the lookout turnoff is on the Arcadia Valley Access Road, just before the camping grounds. The Candlesticks monolith forms an impressive sandstone silhouette above the landscape. 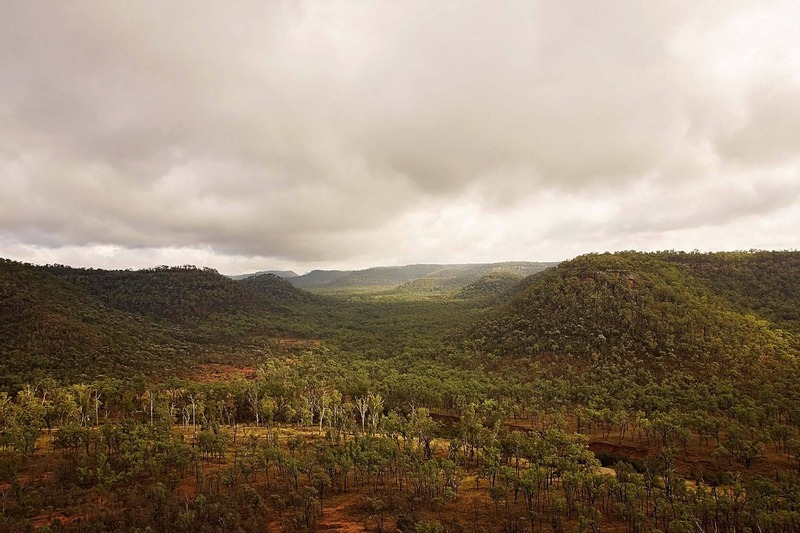 Bush camping by the Dawson River and exploring the bush walks and the native plant life across the valley plains. 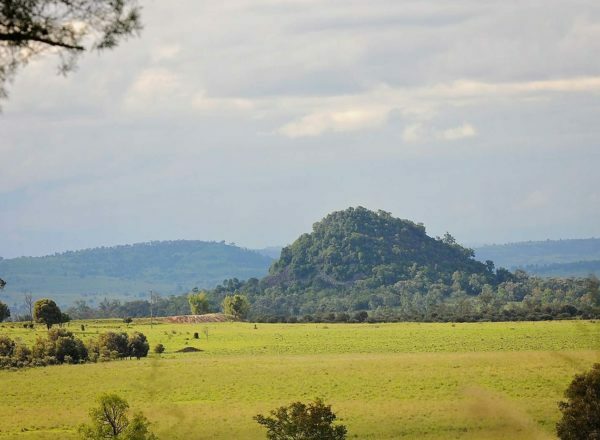 Lonesome Lookout with its breathtaking views of the brigalow clad valley, water systems and highlands. Cattle still graze in some areas of the park. Please leave gates as you found them. The most remote section of Expedition, Beilba is a conservation corridor between Dawson River and Baffle Creek. Wild terrain, this section comprises huge sandstone escarpments, deep gorges and wide open valleys. This section, like much of Expedition, shares its western border with Carnarvon Range. 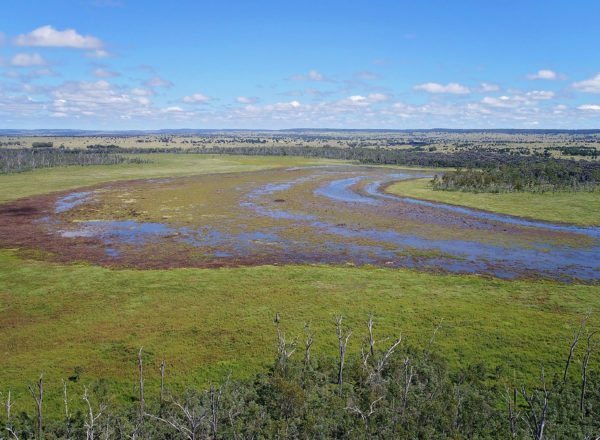 The Dawson River draws from here, creating two major tributaries, the Don and Dee rivers, as it courses for more than 700 km through the Banana region, delivering a precious life line to agricultural farms and cattle stations along the way. Like other sections of the park, late winter and spring brings vibrant colours and life to the bush as wild flowers reach full bloom. A bush camp located on the Beilba Road is a perfect spot for self-sufficient campers to put digs down for a while. The road is gravel surface for about 30 km and only accessible to high clearance 4WD vehicles. Dramatic scenery overlooking the park basin and sandstone escarpments from the mountain plateaus. In late winter and spring grevilleas, flannel flowers, acacias, and pea flowers bring contrasting colour to the park amongst evergreen brigalow, lancewood and softwood scrub. Open woodlands provide habitat to squatter pigeons, while wallaroos are found around the basalt hills in the middle of the park and the wetlands are home to the eastern snapping frog. Enjoy the quiet, away-from-it-all woodland camping area. Gas and coal companies operate in this section and drilling sites should be avoided. At night from the plateau, the lights from these facilities can be seen on the distant horizon. Can I camp at Expedition National Park? 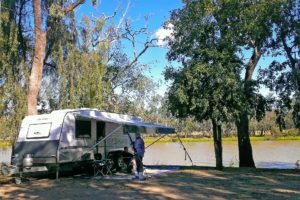 Camping is available throughout Expedition National Park at various bush camping areas. Facilities include toilets and some picnic tables. There are no showers, bbqs or water. Remember to bring everything you need for your style of trip, including extra food, water, fuel, emergency supplies and communications. For more information visit the Expedition National Park camping page. 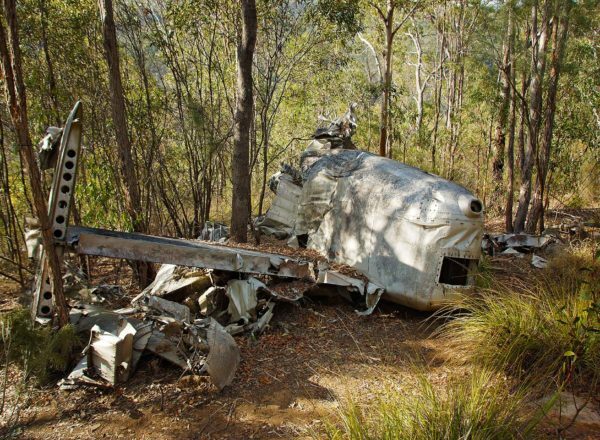 Starkvale Bush Camping area – located 4 km south-east of Robinson Gorge lookout. 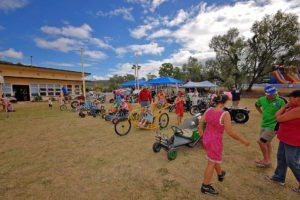 It is accessible by 4WD vehicles and high clearance caravans and camper trailers only. Site features: Bush camping, pit toilets. Lonesome Bush Camping area – access via Arcadia Valley Access Road. Can be accessed by conventional vehicles, camper trailers, caravans and motor homes. Beilba Bush Camping area – located 3.1 km from the park entrance. 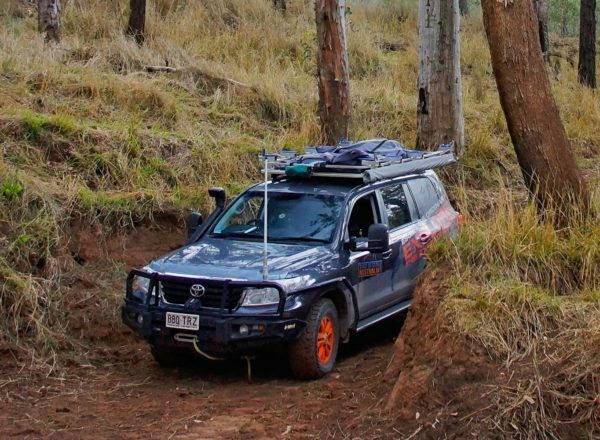 Accessible by 4WD and off-road caravans and camper trailers only. Not accessible in the wet or by caravans or buses.